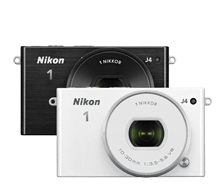 Designed for your lifestyle, the Nikon 1 J4 is fast, compact, versatile, and delivers uncompromisingly sharp and beautiful 18.4MP images. Sleek enough to fit in your purse or coat pocket and fast enough to capture life’s fleeting moments, the Nikon 1 J4 won’t let you down. Capture tack-sharp photos of energetic children, an evening out, or shoot stunning video with confidence. Share images and video immediately using the camera's built-in Wi-Fi. Finally, a camera that moves at the speed of your life! From squirming babies to football games, it takes a fast camera to get clear well-timed action shots. With the world’s fastest continuous shooting frame rate of 60 fps fixed focus and 20 fps full autofocus and touch-shutter, the Nikon 1 J4 captures action shots with confidence. Your images will look like time stood still. Share special occasions and events anytime, anywhere, with built-in Wi-Fi transfer to your compatible smart phone, tablet or other mobile device±. 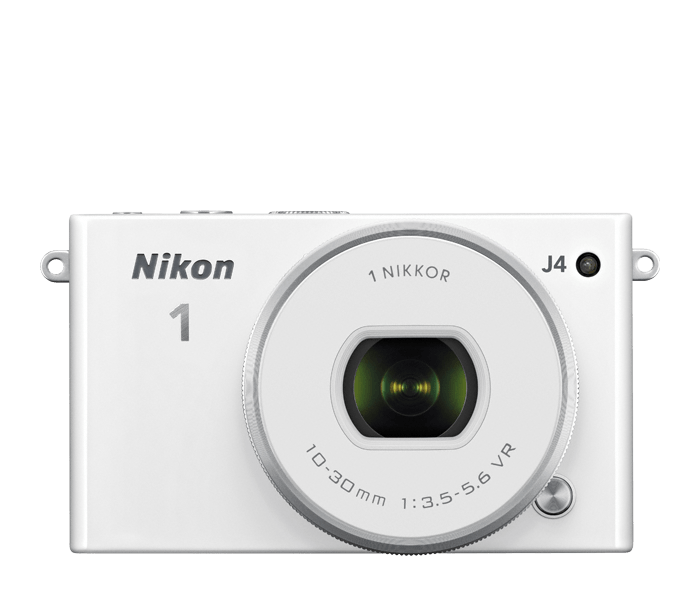 There’s nothing to plug in or buy, the Nikon 1 J4 has Wi-Fi built-in. Family and friends won’t have to wait until you download photos to a computer. Simply transfer images wirelessly and then share via text, social media, or e-mail within minutes of shooting. Don't look away from the action. Fumble-free, touchscreen controls, including touch-to-focus and touch-shutter, let you pay attention to the moment, not your camera. The Nikon 1 J4 touchscreen LCD makes changing settings as simple, intuitive, and easy as a smart phone, while delivering higher quality images. Fine tune the focal point or release the shutter with a touch of your finger. Life is more than a series of snapshots; share your story in video as well. Sporting events, wedding-day toasts, or school performances call for action and sound to capture the feelings of the moment. Record stunning 1080p Full HD video using sophisticated and intuitive features such as electronic Vibration Reduction, simultaneous still-image capture, and creative modes. Change the focal point merely by tapping your finger on the LCD. Create photos and video that express your distinctive style. Great images become spectacular using creative modes such as Easy Panorama, Selective Colour, Miniature Effect, Creative Palette, Cross Process, and Toy Camera. Your images will stand out like never before! Even your videos will excite using Fast Motion, Jump Cut, and 4-second clip capture which allows you to create fun movie-slideshows. Enjoy dazzling photos directly from your camera! Utilize Slow View to capture sharp action shots with confidence. Live Image Control lets you preview sophisticated effects such as Motion Blur and Background Softening using a simple slider. Low-light events never looked better thanks to the Nikon 1 J4’s maximum ISO of 12800 and ISO Sensitivity (noise reduction) Mode. No more disappointing grainy, smartphone shots or distracting flash.